IBM offers an extensive security system solution called Q1 Labs. 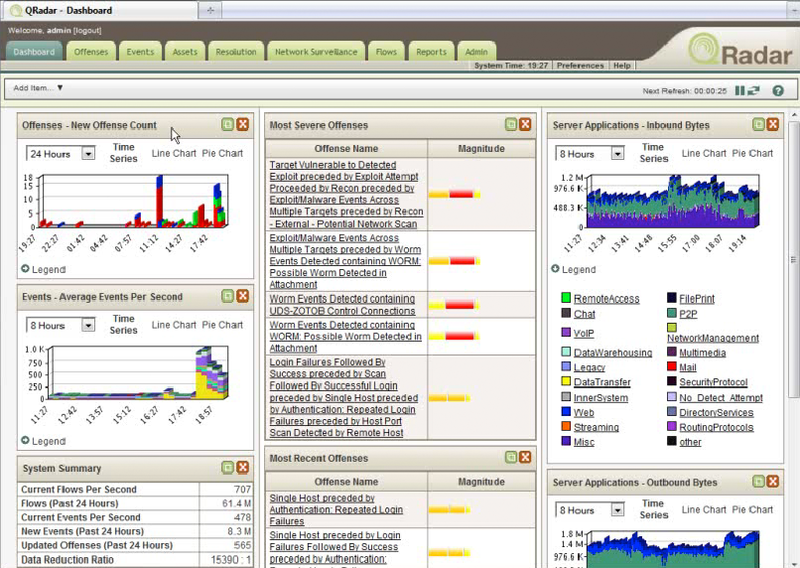 This includes several products for different security aspects, like, for example, QRadar Log Manager for collecting, archiving and analyzing network and security event logs or QRadar SIEM for real-time analysis of security alerts and correlating data from different sources to detect any threats. The product distinguishes itself from other products by its ability to collect and process NetFlow data, by deep packet inspection (DPI) and behavior analysis for all supported event sources. According to Gartner it can be considered one of the leaders in the field (Gartner 2012).